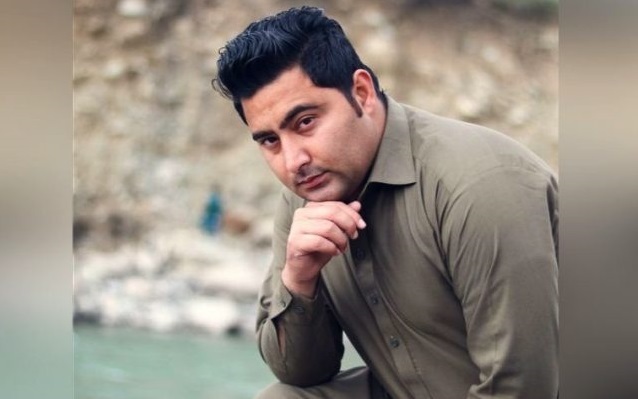 A report compiled by a 13-member joint investigation team (JIT) investigating the lynching of Mashal Khan, a student of Abdul Wali Khan University, confirmed that a group in the university incited a mob against the student on pretext of blasphemy. The report also confirmed that no proof was found that Mashal Khan had committed blasphemy. In April, a vigilante mob, incited by rumours attacked Mashal for allegedly publishing ‘blasphemous’ content online. The mass communication student was beaten and shot by the mob and succumbed to the injuries he received. The JIT report said that Mashal was murdered in line with a plan allegedly hatched by Sabir Mayar, head of the Pakhtun Student’s Federation (PSF) and Ajmal Khan, the president of the employees at the Abdul Wali Khan University. During interrogation, Ajmal claimed that Mayar had come into his office one day and said that Mashal must be removed. However, the report said the interrogation did not offer clarity into the meaning of Mayar’s remarks. According to the report, Mayar viewed Mashal’s stance against activities on campus to be a threat to the PSF. The JIT report said that Mashal had been vocal about the rights of students at the university and even challenged the appointment of a new vice chancellor to ensure that students were able to obtain their degrees, which is not possible without the VC’s signature. Days before Mashal was lynched by the mob, he in an interview to the Khyber TV channel spoke against the activities at the university and the administration, the report said. The investigation revealed that illegal and criminal activities persisted in the university hostel and female students were also exploited in the university. In its proceedings, the JIT investigated the role the police played in the incident and in its report, recommended an inquiry to probe the negligence of police officials. The report added that no evidence regarding allegations of blasphemy against Mashal and other students was found during the investigation into the student’s murder. The report also revealed that the most of the people at the university ranging from the registrar to security officer were hired on the basis of nepotism. “They even have a criminal record which has disrupted the environment of the university and it should be investigated,” it said. The report stated that the murder of Mashal was pre-planned and also raised questions about the role of the police. Mashal last spoke to the hostel warden after tortured by a mob, recited the kalma and pleaded to be taken to the hospital, the report said. A total of 57 people has been suspected to be involved in the ghastly lynching, out of which 54 have been arrested. Well, this is indeed very shocking news. Few questions which further need to be solved. 1. No investigation on the role of police present at the time of llynching. 2. That innocent boy (as JIT proved) had done no blasphemy. But there were indeed blasphemous contents circulating which obviously someone else has fabricated, JIT did not investigate those culprits. 3. The mandate of JIT was investigation, whether mashal did blasphemy or not. Instead the results show, to me to some extent, that the investigation was against illegal appointments of the suspects . 4. A big question mark, if a group was determined to kill the boy, as JIT report claimed, then is a university campus the best venue to kill someone? As there are so many other easy alternatives keeping in mind the pakhtoon cultures. The University Administration was deeply involved. An Administrator of the Department where Mashal was a student looked deeply involved. His name is Paracha and he deliberately went to Islamabad on a false pretext. He should be hauled up and investigated. He appears to be the main planner.